The late British actor W. “Burt” Kwouk, OBE was born 18 July 1930 in Warrington, Cheshire. He was brought up in Shanghai until he was 17 years old, when his Chinese parents returned to England. He went to the United States to study and in 1953 graduated from Bowdoin College. The Kwouk family fortune had been lost in the 1949 revolution and in 1954 he came back to Britain, where a girlfriend “nagged me into acting”. He appeared in numerous films and television programmes. One of Kwouk’s earliest film roles was in The Inn of the Sixth Happiness (1958) where he played the leader of a prison revolt who later aids the main character in heroically leading orphans to safety. In 1968 he appeared in The Shoes of the Fisherman opposite Laurence Olivier and Anthony Quinn. Kwouk was also a stalwart of several ITC television TV series, such as Danger Man, The Saint and Man of the World. He co-starred in 12/13 episodes of The Sentimental Agent (1963). Kwouk appeared in three James Bond films. In Goldfinger (1964) he played Mr. Ling, a Chinese expert in nuclear fission; in the spoof Casino Royale (1967) he played a general and in You Only Live Twice (1967) Kwouk played the part of a Japanese operative of Blofeld credited as Spectre 3. However he was most famous for playing Cato Fong, Inspector Clouseau’s manservant in the Pink Panther films, who was ordered to attack Clouseau when he least expected it in order to keep him alert, this would end up totally hilarious and caused absolute chaos. A reference to his appearances in several films with Peter Sellers including the opening scene of The Fiendish Plot of Dr. Fu Manchu alongside Peter Sellers, who says to him “your face is familiar.” (referencing Pink Panther). He also portrayed the honorable but misguided Major Yamauchi in the 1980’s British World War II drama series Tenko. In 2000, he appeared in an episode of the western TV series Queen of Swords as Master Kiyomasa, an aged Japanese warrior-priest. Sung-Hi Lee played his female pupil, Kami. The episode was filmed at Texas Hollywood, Almeria, Spain. From 2001 to 2004 he provided voice-overs on the spoof Japanese betting show Banzai and subsequently appeared in adverts for the betting company, Bet365. From 2002 until 2010, he so had a regular role in the Last of the Summer Wine, as Entwistle. In 2010, he provided the voice of the CGI character Shen, a Chinese water dragon, for the groundbreaking BBC TV fantasy drama series Spirit Warriors. He sadly died 24 May 2016. Classic English novelist Jane Austen sadly passed away 18 July 1817. Born 16 December 1775, Her works of romantic fiction, set among the landed gentry, earned her a place as one of the most widely read writers in English literature. Her realism, biting irony and social commentary have gained her historical importance among scholars and critics. Austen lived her entire life as part of a close-knit family located on the lower fringes of the English landed gentry. She was educated primarily by her father and older brothers as well as through her own reading. The steadfast support of her family was critical to her development as a professional writer. Her artistic apprenticeship lasted from her teenage years into her thirties. During this period, she experimented with various literary forms, including the epistolary novel which she then abandoned, and wrote and extensively revised three major novels and began a fourth.From 1811 until 1816, with the release of Sense and Sensibility (1811), Pride and Prejudice (1813), Mansfield Park (1814) and Emma(1816), she achieved success as a published writer. She wrote two additional novels,Northanger Abbey and Persuasion, both published posthumously in 1818, and began a third, which was eventually titled Sanditon, but died before completing it.Austen’s works critique the novels of sensibility of the second half of the 18th century and are part of the transition to 19th-century realism. Her plots, though fundamentally comic. highlight the dependence of women on marriage to secure social standing and economic security. Her work brought her little personal fame and only a few positive reviews during her lifetime, but the publication in 1869 of her nephew’s A Memoir of Jane Austen introduced her to a wider public, and by the 1940s she had become widely accepted in academia as a great English writer. The second half of the 20th century saw a proliferation of Austen scholarship and the emergence of a Janeite fan culture. July 18 is Nelson Mandela International Day (or Mandela Day) it is celebrated annually to celebrate the birthday of South African politician, President of South Africa and Nobel Prize laureate Nelson Mandela, who was born 18th July 1918. It was officially declared by the United Nations in November 2009, with the first UN Mandela Day held on 18 July 2010. Mandela Day is not meant as a public holiday, but as a day to honour the legacy of Nelson Mandela, South Africa’s former President, and his values, through volunteering and community service. Mandela Day is a global call to action that celebrates the idea that each individual has the power to transform the world and the ability to make an impact. 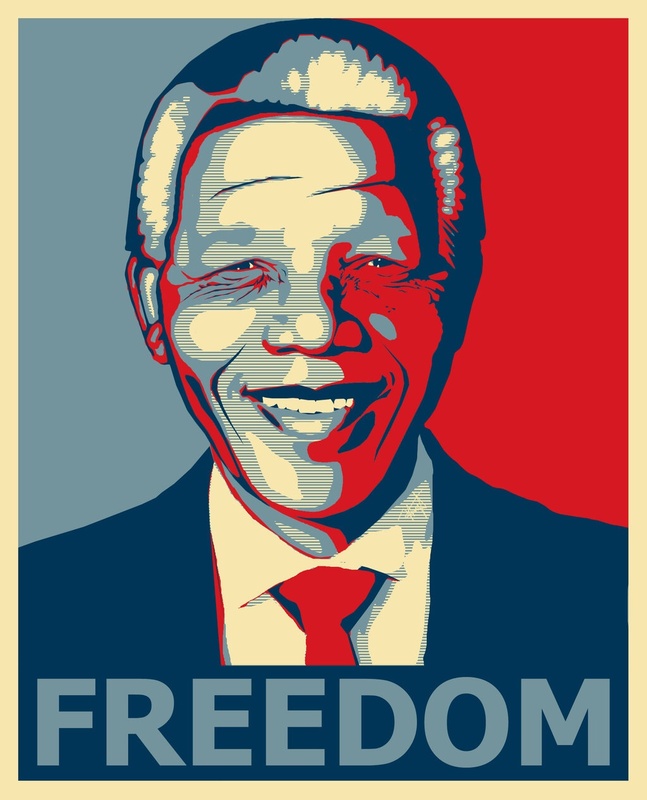 The campaign message for Mandela Day is:”Nelson Mandela fought for social justice for 67 years. We’re asking you to start with 67 minutes and would be honoured if such a day can serve to bring together people around the world to fight poverty and promote peace and reconciliation,”. Nelson Rolihlahla Mandela Was Born l8 July 1918 he was a South African anti-apartheid revolutionary who was imprisoned and then became a politician and philanthropist who served as President of South Africa from 1994 to 1999. A Xhosa born to the Thembu royal family, Mandela attended the Fort Hare Universityand the University of Witwatersrand, where he studied law. Living in Johannesburg, he became involved in anti-colonial politics, joining the ANC and becoming a founding member of its Youth League. After the South African National Party came to power in 1948, he rose to prominence in the ANC’s 1952 Defiance Campaign, was appointed superintendent of the organisation’s Transvaal chapter and presided over the 1955Congress of the People. Working as a lawyer, he was repeatedly arrested for seditious activities and, with the ANC leadership, was unsuccessfully prosecuted in the Treason Trial from 1956 to 1961. Although initially committed to non-violent protest, he co-founded the militant Umkhonto we Sizwe (MK) in 1961 in association with the South African Communist Party, leading a sabotage campaign against the apartheid government. In 1962 he was arrested, convicted of conspiracy to overthrow the government, and sentenced to life imprisonment in the Rivonia Trial. Mandela served 27 years in prison, initially on Robben Island, and later in Pollsmoor Prison and Victor Verster Prison. An international campaign lobbied for his release, which was granted in 1990 amid escalating civil strife. Mandela published his autobiography and opened negotiations with President F.W. de Klerk to abolish apartheid and establish multiracial elections in 1994, in which he led the ANC to victory. As South Africa’s first black president Mandela formed a Government of National Unityin an attempt to defuse racial tension. He also promulgated a new constitution and created the Truth and Reconciliation Commission to investigate past human rightsabuses. Continuing the former government’s liberal economic policy, his administration introduced measures to encourage land reform, combat poverty, and expand healthcare services. Internationally, he acted as mediator between Libya and the United Kingdom in the Pan Am Flight 103 bombing trial, and oversaw military intervention in Lesotho. He declined to run for a second term, and was succeeded by his deputy, Thabo Mbeki. Mandela subsequently became an elder statesman, focusing on charitable work in combating poverty and HIV/AIDS through the Nelson Mandela Foundation.Although Mandela was a controversial figure for much of his life, he became widely popular during the last two decades following his release. Despite a minority of critics who continued to denounce him as a communist and/or terrorist, he gained international acclaim for his activism, having received more than 250 honours, including the 1993 Nobel Peace Prize, the US Presidential Medal of Freedom, the SovietOrder of Lenin and the Bharat Ratna. He is held in deep respect within South Africa, where he is often referred to by his Xhosa clan name, Madiba, or as Tata (“Father”); he is often described as “the father of the nation”. It was officially declared by the United Nations in November 2009, with the first UN Mandela Day held on 18 July 2010. Mandela Day is not meant as a public holiday, but as a day to honour the legacy of Nelson Mandela, South Africa’s former President, and his values, through volunteering and community service. Mandela Day is a global call to action that celebrates the idea that each individual has the power to transform the world and the ability to make an impact. The campaign message for Mandela Day is:”Nelson Mandela fought for social justice for 67 years. We’re asking you to start with 67 minutes and would be honoured if such a day can serve to bring together people around the world to fight poverty and promote peace and reconciliation,”. Firgun (Hebrew: פירגון) is an informal modern Hebrew term and concept in Israeli culture, which describes genuine, unselfish delight or pride in the accomplishment of the other. Another definition describes Firgun as a generosity of spirit, an unselfish, empathetic joy that something good has happened, or might happen, to another person. The concept does not have a one-word equivalent in English. The infinitive form of the word, “Lefargen”, means to make someone feel good without any ulterior motives. This absence of negativity is an integral part of the concept of firgun. The word can be traced back to the Yiddish word ” ” (a cognate of the German word “vergönnen”). A relatively modern addition to Hebrew, the word was initially used in the 1970s, and gained momentum in subsequent decades. According to Tamar Katriel, professor of communications in the University of Haifa, Firgun differs from giving compliments, since is “about an affinity that is authentic and without agenda”. The concept of firgun can be found in Talmudic Hebrew as “ayin tova” or “ayin yafa” – “a good eye”. Those phrases are not commonly used in modern Hebrew. English musician and songwriter Terence Michael Joseph “Geezer” Butler was born 17 July 1949. Butler is best known as the bassist and primary lyricist of heavy metal band Black Sabbath. He has also recorded with Heaven & Hell, GZR, and Ozzy Osbourne. Butler grew up in an working-class Irish Catholic family and was heavily influenced by the writing of Aleister Crowley as a teenager. Butler formed his first band, Rare Breed, in the autumn of 1967, with John “Ozzy” Osbourne soon joining as lead vocalist. Butler dated a girl who lived near Tony Iommi, and Iommi’s earliest memories of Butler involved seeing him walking past his house in Birmingham quite often to visit her. Later, Iommi and Butler became acquainted when their bands played at a nearby nightclub. Separated for a time, Osbourne and Butler reunited in the blues foursome, Polka Tulk, along with guitarist Iommi and drummer Bill Ward. They renamed their band Earth, but after finding a band in the small-time English circuit with the same name, soon adopted Black Sabbath in early 1969. Inspired by John Lennon, Butler played rhythm guitar in his pre-Sabbath days, including with Rare Breed. When Sabbath was formed, Iommi made it clear that he would not want to play with another guitarist, so Butler moved to bass. Butler lists Jack Bruce of Cream as his biggest influence as a bassist. Iommi described Butler as being “from another planet” in the band’s early days; he took LSD, wore Indian hippie dresses, and was very peaceful. At the time Black Sabbath was formed, Butler was studying to become an accountant, and this training resulted in him managing the band’s finances in the early days. Butler briefly left Black Sabbath during the recording of their 1980 album Heaven and Hell to deal with personal problems. He again left the band in 1984 after touring in support of their 1983 album, Born Again. In 1988 he joined his former Sabbath bandmate Osbourne to take part in the No Rest for the Wicked World Tour. Butler re-joined Black Sabbath in 1991 for the reunion of the Mob Rules line-up, but again quit the group after the Cross Purposes tour in 1994. In 1995 Butler joined with Osbourne to play on the Ozzmosis album. After recording Ozzmosis, he formed G/Z/R, issuing Plastic Planet in 1995. His next solo album, Black Science, followed in 1997. Butler returned to Sabbath once more for the 1997 edition of Ozzfest, and has remained with the band since. In 2005 he released Ohmwork, his third solo album. In October 2006 it was announced that Butler, along with Tony Iommi, would be reforming the Dehumanizer-era Black Sabbath line-up with Vinny Appice and Ronnie James Dio, under the name Heaven & Hell to differentiate between the reunited touring band fronted by Osbourne, and the current Sabbath line-up. Wolfgang Flür, German drummer with pioneering influential German electro/techno bands Kraftwerk and Dyko Was born 17 July 1947. Kraftwerk , (meaning power plant or power station) are an influential electronic music band from Düsseldorf, Germany. The group was formed by Ralf Hütter and Florian Schneider in 1970, and was fronted by them until Schneider’s departure in 2008. 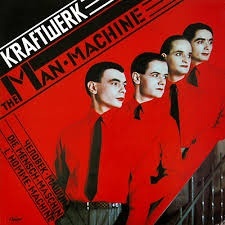 The signature Kraftwerk sound combines driving, repetitive rhythms with catchy melodies, mainly following a Western Classical style of harmony, with a minimalistic and strictly electronic instrumentation. The group’s simplified lyrics are at times sung through a vocoder or generated by computer-speech software. They are considered pioneers in the field of electronic music/synthpop and were one of the first groups to popularize electronic music during the 70′s when their distinctive sound was considered revolutionary. Today Kraftwerk remain as popular as ever and their influence has had a long lasting effect across many genres of modern music and has paved the way for many of todays electro/Techno bands and their influence can often stll be heard in much of today’s music thanks to the ongoing popularity of songs like The Robots, Autobahn, Tour De France, Trans Europe Express and Computer Love. The well renowned English race car Designer, and creator of such classic racing cars as The Cooper Climax, John Cooper was Born 17th July 1923. His surname became synonymous with sporty cars and was used on many classic cars such as The Original Mini Cooper, which, thanks to its short wheelbase, light weight and accurate handling, became a highly effective rally car during the 1960’s in the hands of drivers such as Paddy Hopkirk and Raono Aaltonen ( winning thee Monte Carlo Rally on many occasions, thanks to it’s short wheelbase & front wheel drive. It was also used during a thrilling and rather memorable car chase through the gridlocked streets of Turin in the original Italian Job. I would like to read the exciting espionage thriller Rough Justice by Jack Higgins. It is the fifteenth novel to feature Sean Dillon who was dispatched to volatile and war-torn Kosovo alongside both American and British government operatives, including Harry Miller, an ex-army intelligence officer, turned British MP, who is now Under-Secretary of State and is married to a famous actress. Miller served as an undercover agent for many years, and has performed many delicate operations for the Government in Northern Ireland and also served in Kosovo, where he shot and killed a young Russian Captain Igor Zorin after Zorin molested a young woman and attempted to torch a mosque. Millers actions cause an escalation in tensions between the Russians making the already delicate situation in Kosovo even worse. Zorin is well connected in Russia and President Putin is alerted to his death and This action has considerable consequences, not only for Harry Miller and Blake Johnson and their associates, including Britain’s Sean Dillon, but for a great many people, all the way to the top of the governments of the United States, Britain, and Russia. So General Charles Ferguson, US President Jake Cazelet’s point man and trusted agent joins forces with Sean Dillon, Harry Miller and Blake Johnson to tackle Islamists, Russians and ex-IRA terrorists whose common link is a shadowy figure called The Broker who is behind the scenes helping the Russians who are causing chaos attempting to become a superpower again.